Carrying the racing number of legendary drivers requires legendary performance — and the technology and manufacturing of these rotors deliver just that. The new Sector 27 Rotors utilize a drilled and slotted design. Beveled holes provide superior cooling under the most extreme conditions. The slots are rounded, which provides consistent contact between the rotor and pad while also sweeping away gas and dust. 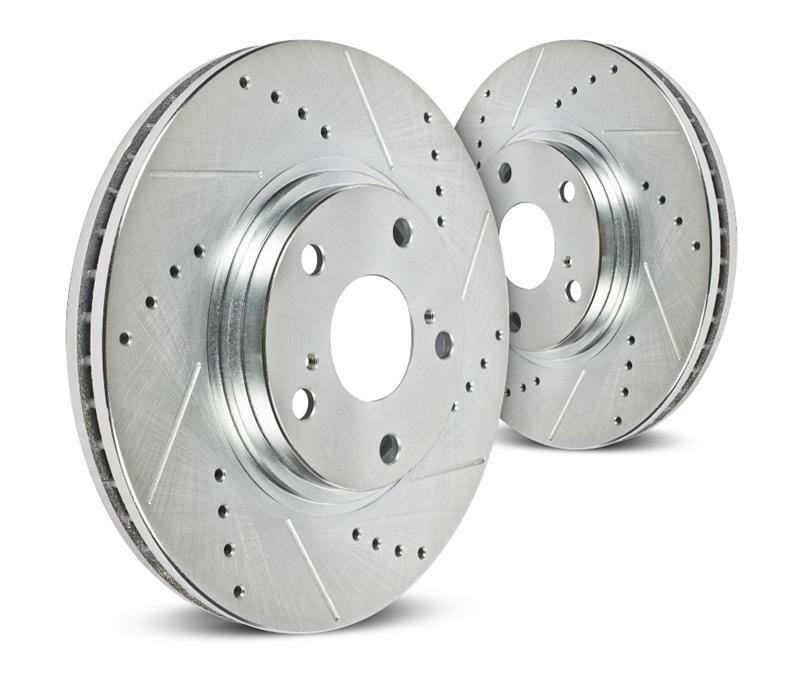 The result is a high performance rotor that enables harder and more precise braking, while also lowering temperatures by as much as 180 degrees. To ensure long life and to reduce rust, Sector 27 Rotors are plated with silver zinc. These elements are combined with a very precise manufacturing process, ensuring each and every rotor fits perfectly and is balanced to our stringent specifications.